New Zealand: how does this "clean and green" country perform in global rankings that measure talent attraction potential, public diplomacy and soft power strength, environmental sustainability and economic development? Why does the remote island nation have the fame of being a good place for doing business? Answers in this summary of global reports, studies and rankings on country performance, brand image and reputation. New Zealand nation brand performance. 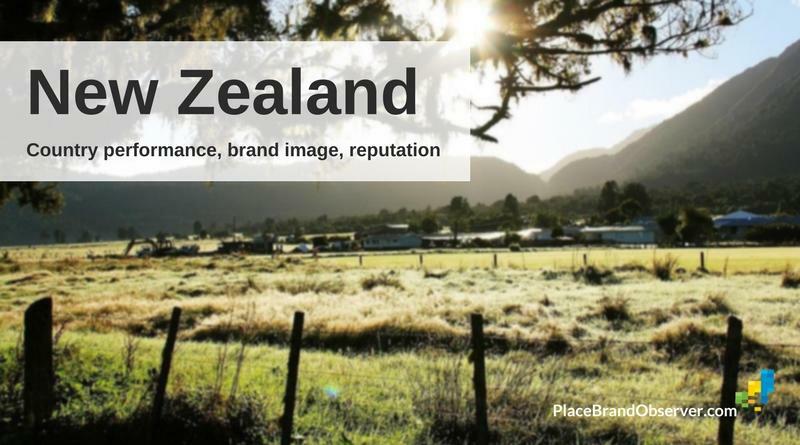 Is New Zealand an attractive place for new businesses and entrepreneurs? For the second consecutive year, New Zealand leads the ranking of World Bank’s Ease of Doing Business Index. In 2018, the country holds the first position in various dimensions of the study, including starting a business, getting credit and registering property. According to the index, minority investor rights are also very well protected (2nd) in New Zealand, and dealing with construction permits is much easier (3rd) than in the rest of the 190 countries evaluated by the World Bank in this study. New Zealand only shows weaker performance (29th) in the dimension of trading across borders, due to its remote location. The country has been in the very top of this ranking for a decade already, and is thus an important competitor to whichever national economy when it comes to attracting businesses. WEF’s Global Competitiveness Index ranks New Zealand 13th in its 2017-18 study. Confirming the results of the Ease of Doing Business index, this study also gives New Zealand the leading position for the development of its financial market. Another important pillar for facilitating business – the efficacy of institutions — also ranks very high (3rd). High scores are also given to the efficiency of its labour market (5th), health and primary education (6th) and higher education and training (7th). The country scores lowest for the size of its market (64th), while the rest of the indicators all feature in the top 25. New Zealand’s performance in this index has improved notably during the last decade, up from 24th in 2008 to the current 13th position.